Spring has sprung, and everywhere I look things are in bloom! I’m the kind of person that absolutely can’t have too much greenery around my home. 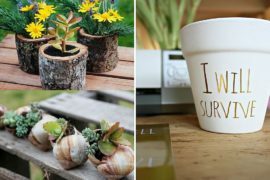 Now is the time of year to get planting, so I am here today to share 13 gorgeous DIY planter ideas to spruce up your home and garden. Each of these ideas can be adapted to your space, whether that be indoors, a large backyard, a front porch, or even a tiny apartment balcony! 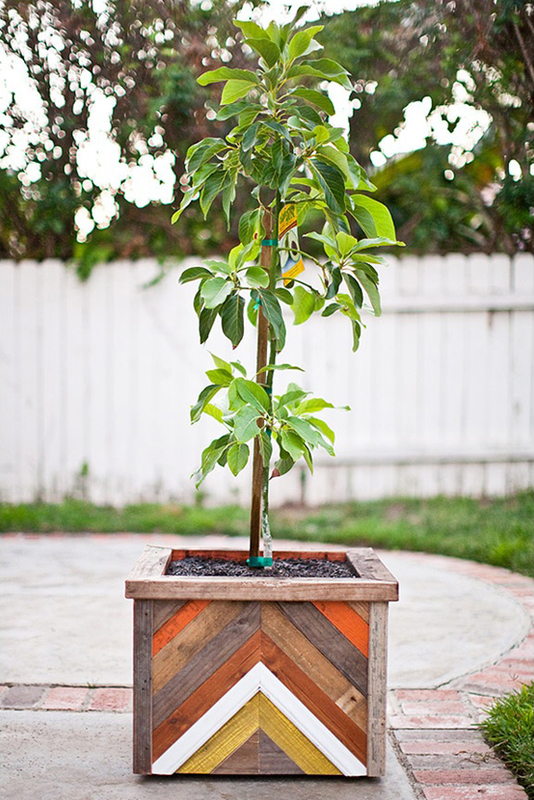 Our first DIY planter was hand-crafted by Zelo Photo Blog using recycled wood to create a rustic chevron pattern. Not only does it provided a lovely home to an avocado tree (yum! ), this planter was made with wheels to make moving the large planter a piece of cake! I think I need one in every color. Another gorgeous DIY alternative to the large box planter idea is Centsational Girl’s Criss Cross Planter. 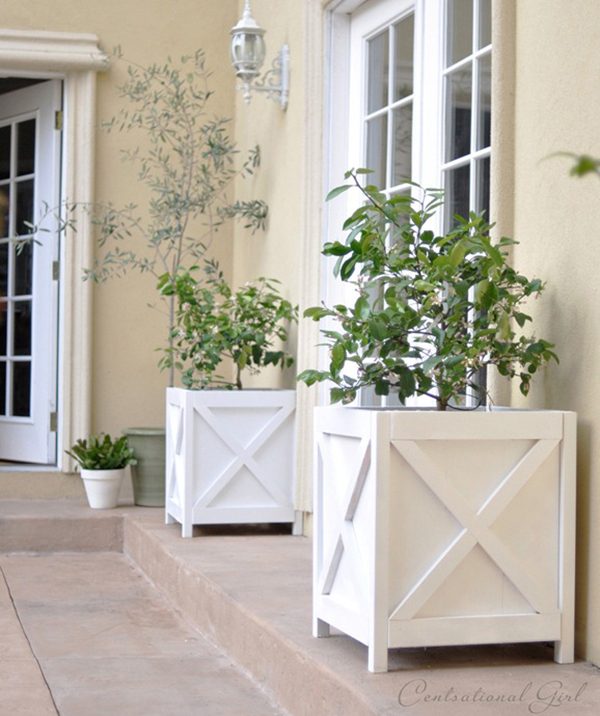 These elegant white planters will make the colors of your plants pop and add a bit of sophistication to your outdoor space. 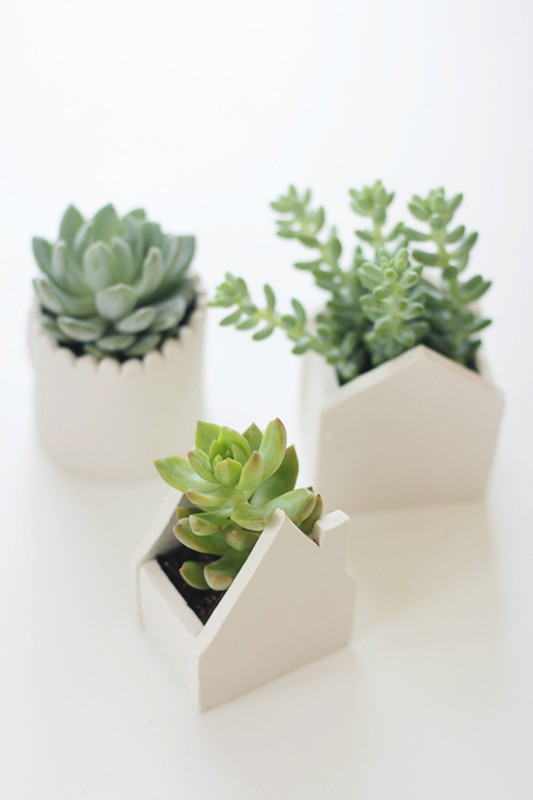 Love the idea of a freestanding planter but want something a little smaller? Well, good ol’ Martha never disappoints, as our next planter can be adapted to any size! 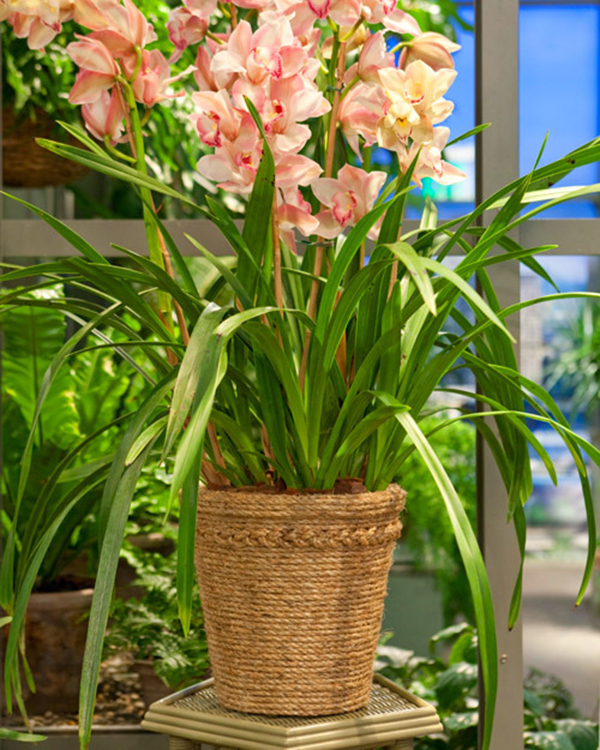 Martha Stewart’s Rope-Wrapped planter requires only some rope, hot glue, and a bit of patience to craft, but looks extraordinary. 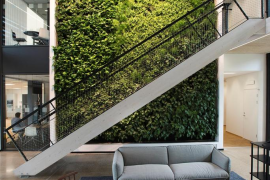 Living in a city, I am all too familiar with the challenges associated with designing a space with limited horizontal space. 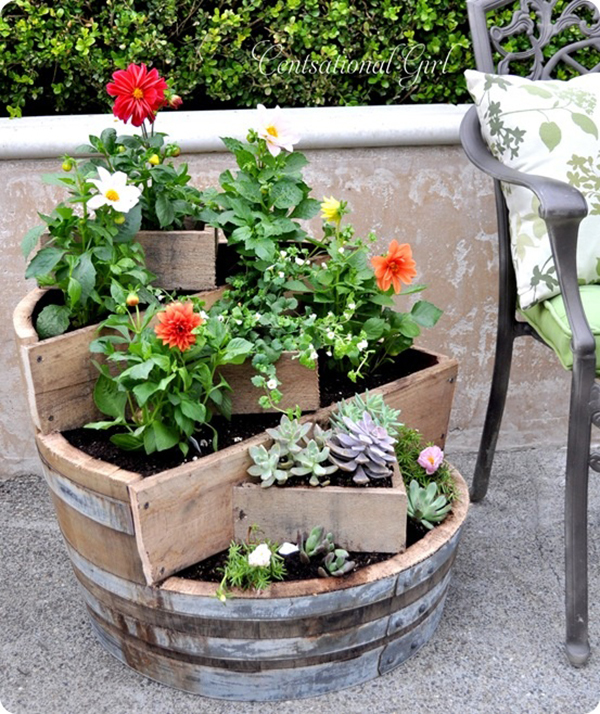 Luckily, there are many great DIY planter ideas out there that take advantage of vertical space. 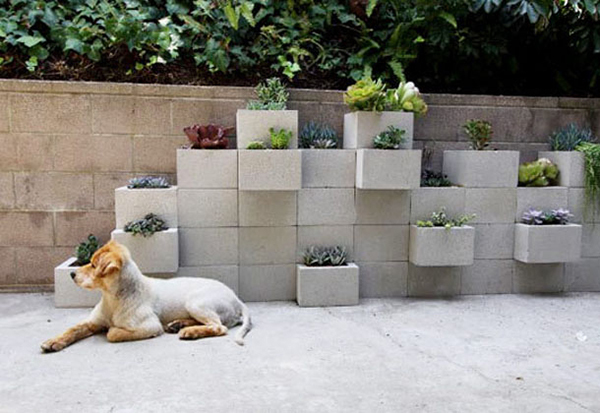 Our next planter, designed by Pot-ted, uses cinder blocks and lots of liquid nails to build a sleek vertical planter wall. Not only is this project inexpensive, but it can be completely tailored to your exact space. Dog not included… sorry. The best part about our next DIY planter is that it takes up absolutely no floor space, which is always exciting for those of us living in minimal square footage. 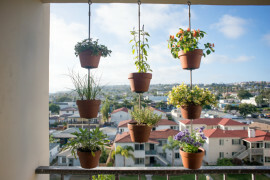 Originally by Better Homes and Gardens and featured on Apartment Therapy, this space-saving planter idea is as simple as buying a few pot hangers and attaching some terracotta pots to your fence. 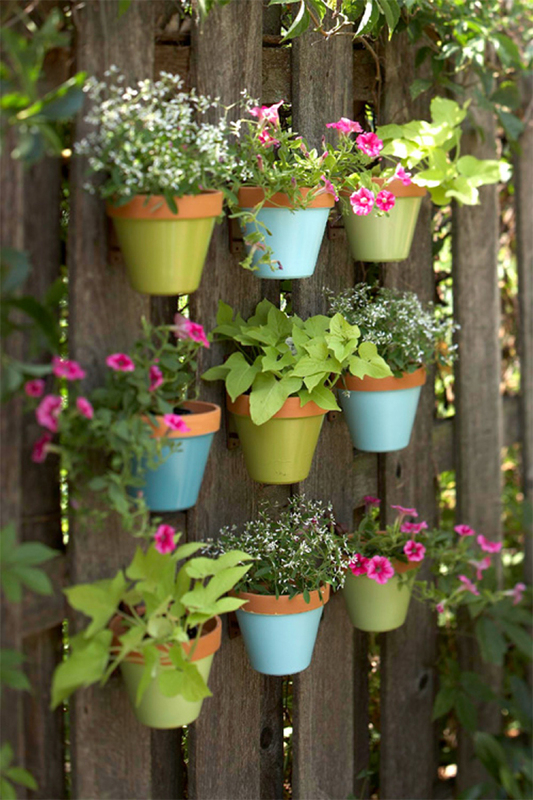 For added color and fun, paint the bottoms of your pots before you hang them! 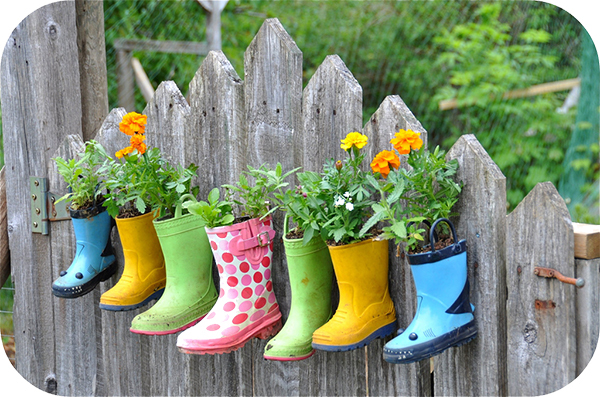 Another great fence garden idea comes to us from Rosy ~ Posy, who gathered all of the rain boots that her three children had outgrown and used them to showcase some delightful flowers. Not only did she get her children involved in the planting process, but she had the genius idea to hang the boots from the fence to create an adorable boot garden focal point in the family garden. Disclaimer: I am obsessed with succulents. In fact, when I started this post, I had to restrain myself from making every photo I featured full of those quirky little guys! Our next few planters are perfectly suited to displaying our low-maintenance friends. This breathtaking DIY vertical wall succulent planter by Luna-See was created with a vintage frame, a bit of chicken wire, Spanish moss, soil, and a whole bunch of your favorite succulents. 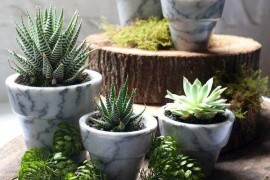 You can even add succulents to the planter periodically after it is built, as not to empty the wallet on the first day. 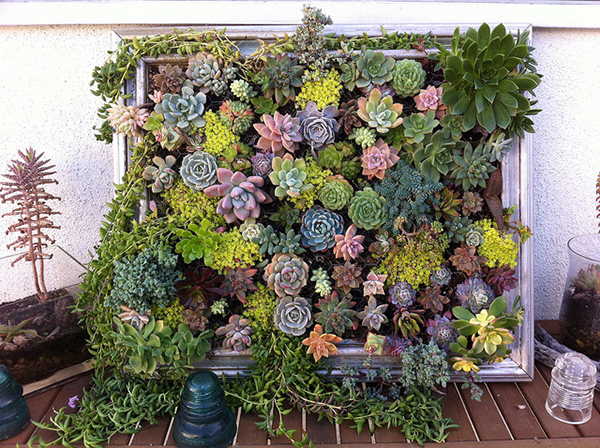 The wonderful thing about succulents is that they do not require a lot of space to thrive. 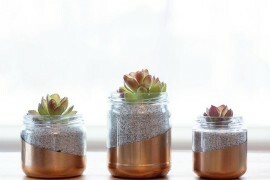 The next DIY planters by Fellow Fellow are cute little oven-baked clay home planters for individual succulents. 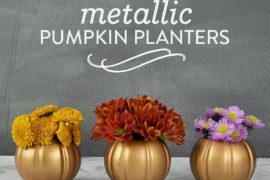 I think they would be adorable scattered throughout either an indoor or outdoor space, as well as being a thoughtful housewarming gift for a friend. As a new writer for Decoist, I am super excited for you to get to know me! So I am proud to say that the next project was handmade by yours truly. 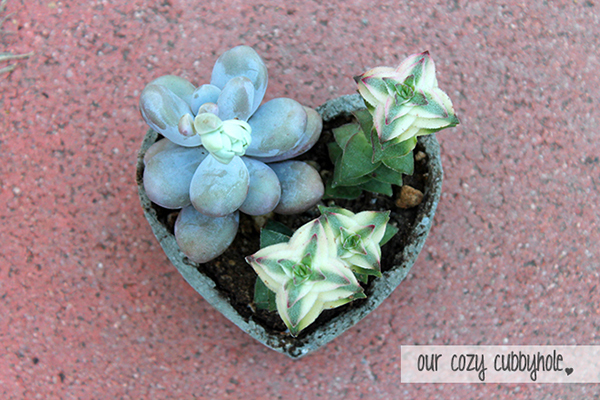 Originally a Valentine’s Day gift for my better half, I created a rustic DIY concrete heart-shaped planter that I filled with fun succulents (with which he is, if possible, more obsessed than I am). The beauty of this DIY project is that you can use any size and shape for a mold to create a custom planter. Our final DIY succulent planter stole my heart. 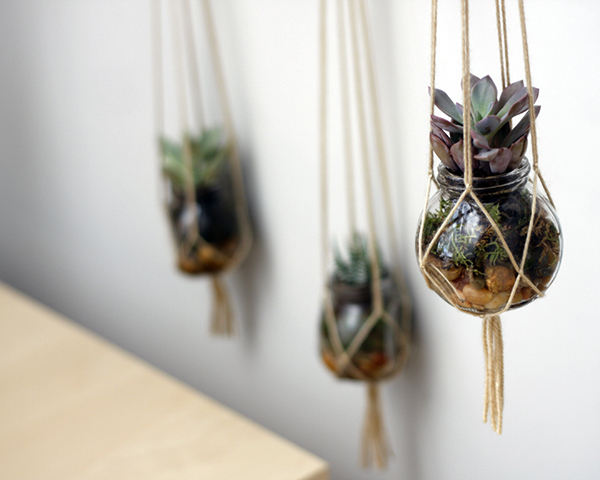 Song & Dance used small jars, rocks, moss, succulents, and some twine to create some magnificent hanging planters. My favorite part of spring planting is all of the fresh herbs! 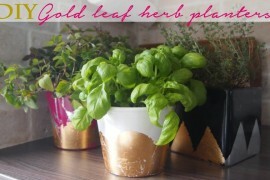 If any of you enjoy cooking with fresh ingredients, an herb garden is a must. 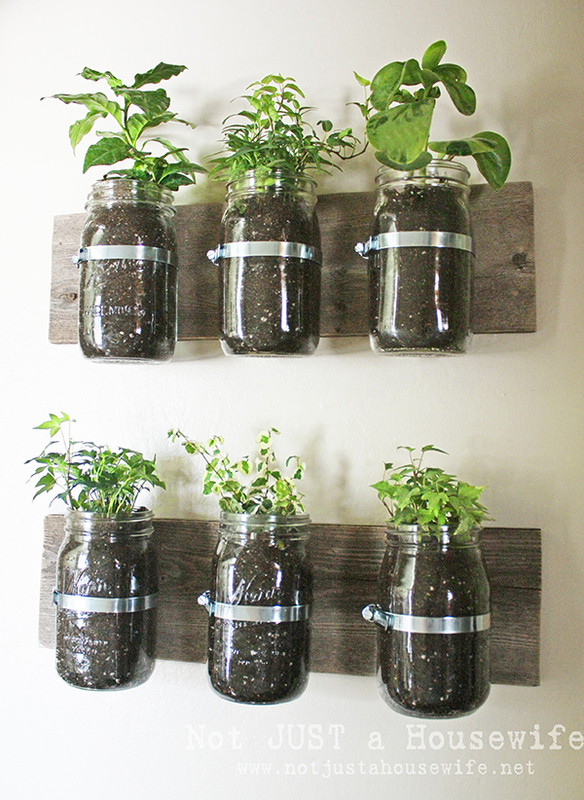 Our first DIY herb planter by Not Just A Housewife uses rustic mason jars hung from reclaimed wood to make a simple, delectable herb garden. We have arrived at our final DIY planter for the day, and — hold onto your hats — this project also happens to be by your trusty narrator! Inspired by much larger tospy-turvy garden planters, I created a portable table-top vertical herb garden with a lot of character! 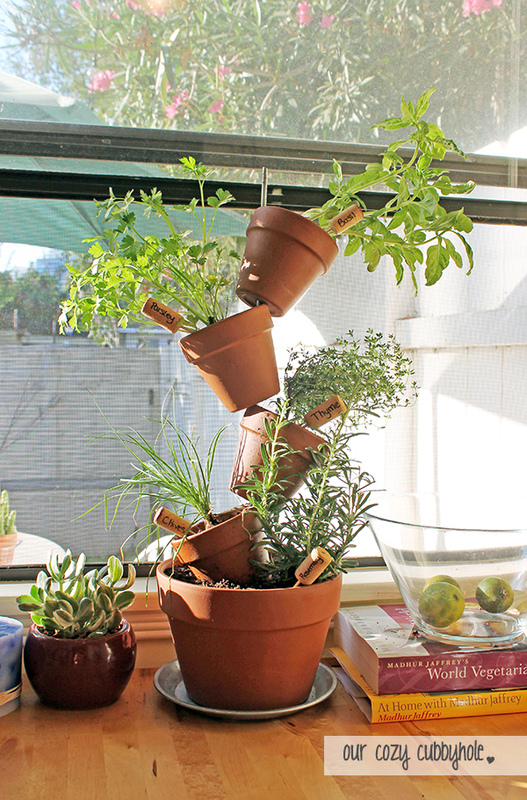 While it is currently soaking up sunshine on a shelf in my backyard, the herb garden can be moved indoors for hot summer days or cold winter nights. 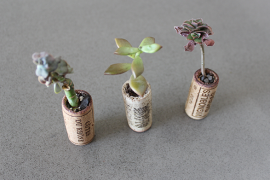 There you have it: 13 gorgeous DIY planter ideas to inspire your green thumb! What are you planting this spring? 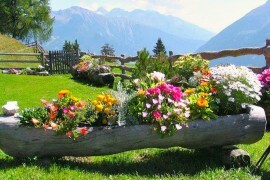 And in what kind of creative planter? Share your ideas with us in the comments section below.